My answer is a bit unconventional. I was pre-med, double majoring in biology and music… now I run a startup software company in the education space. There’s a connection though! I went to CWRU so I could be in a high caliber academic environment, with access to a neighboring conservatory in order to pursue music. What I didn’t expect is how important my peers would be in shaping my future. Through the music program, I became close friends a fellow music major Marc Plotkin, CAS ’09, who became my co-founder in a venture to create a professional network for musicians. 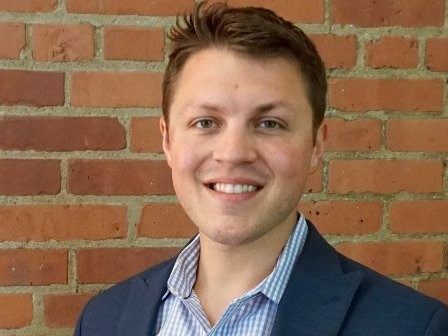 It wasn’t until our third co-founder from the College of Engineering, Eric Neuman, CSE ’09, joined that we gained serious traction as a business. We pivoted to manage video reviews for auditions, recruiting, and admissions processes, re-branding our company as DecisionDesk. The company went on for almost 8 years, raised venture capital, and worked with over 100 universities. My career focus on education technology, entrepreneurship, and building companies was shaped by that dorm room startup. I’m proud that Case Western Reserve University is a partner in my newest venture, getwisr.com. What is your greatest professional accomplishment or recent professional accomplishment to date? I’ll list two. One that was a painful, but retrospectively an important cornerstone in my career. The second, a very exciting accomplishment for my current role. During tough startup times at DecisionDesk, we were spread thin in different business verticals. We had a month of cash left. In November and December, amid the holidays, we re-focused the team exclusively in higher education, raised emergency capital, and doubled revenue inside of 12 months without adding any expenses. It was very painful, but I learned a lot. Leveraging that experience, to build more sustainably, my new company Wisr spent a full year piloting its technology with five universities (CWRU included). We were awarded the ASU+GSV Innovation Award, out of 500 global education companies, and presented to 2,000+ leaders in the industry. What programs do you support at CWRU, and why? I’m very proactively supporting alumni relations and the Career Center. As a student, I wish I had engaged in more conversations with the alumni base and leveraged their experience set. There are wins across the board from student success to job placement rates, you name it, by bringing these two groups together. I’ve learned that advice isn’t one size fits all. My advice is not to see exploration, taking a deep breath, and conversations outside your comfort zone as ‘counterproductive’ to your education. Intense academic focus and CWRU go hand in hand, but finding your passion is the most important. I have fond memories in Clark Tower, after hours at Mi Pueblo, playing music at La Dolce Vita for free food and drink, and being a part of the first (and perhaps the last) funk show on the Elephant Stairs. Would you like to be featured in a spotlight? Submit your answers in our Alumni Spotlight Questionnaire. Wisr is a student and alumni networking platform that was built in partnership with five top research and liberal arts universities. Together with teams of career services, alumni relations, and advancement professionals from Case Western Reserve University, Cedarville University, Denison University, Oberlin College, and the University of Chicago, Wisr became the platform it is today. Wisr has built an online community for students, alumni, and supporters to connect and share knowledge about their careers and experiences. The platform drives meaningful career outcomes for students and alumni across the country. 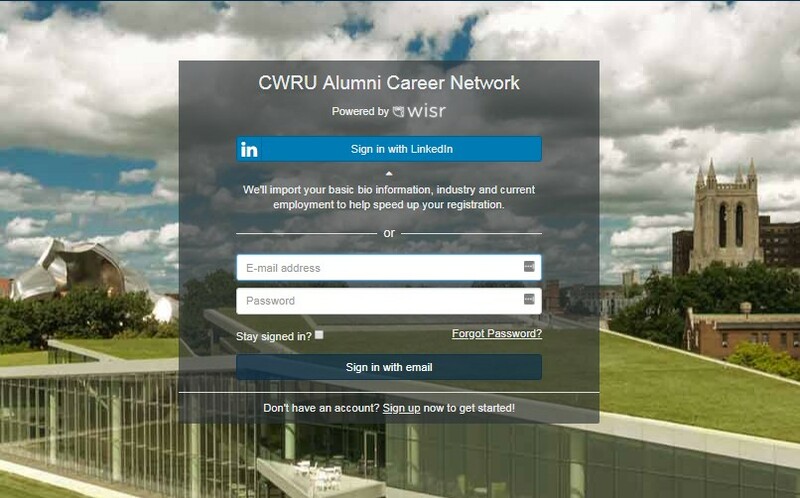 Have you joined CWRU’s Alumni Career Network, powered by Wisr? Connect with CWRU students and other CWRU alumni to explore careers, build your network, and get advice. Whether you’re an experienced professional with years of work history, or a relatively recent graduate with tips on applying to graduate and professional school or making the transition to the workplace, you’ll find this volunteer opportunity to be a rewarding way to give back to CWRU students and the alumni community. ACN is an initiative of the CWRU Career Center in collaboration with The Alumni Association of Case Western Reserve University and the Case Alumni Association.